Linden trees, also known as basswood (Tilia spp.) are fast-growing trees with a wide body that provides plenty of shade. They produce white, fragrant flowers in early to mid-summer, followed by small green fruit that is eaten by wildlife. Bees love the flowers, and basswood honey is pleasingly light and mild. Linden trees are a popular choice for yards and boulevards, and any garden center or nursery that sells ornamental or shade trees should carry linden trees. 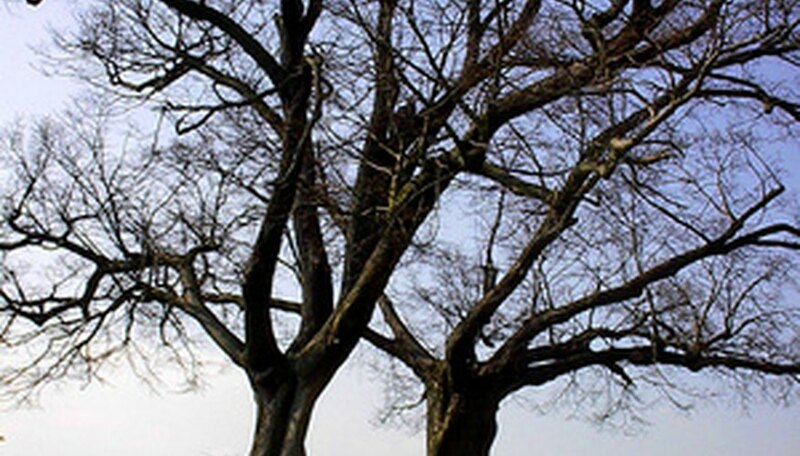 Purchase linden trees in the early spring or late fall. Assess your site. Linden trees prefer full sun, although they will also tolerate some shade. Linden trees do best in moist, well-drained soil, although they can adapt to a variety of soil types. Consider your location. Gardeners in North America will likely have better results with a species native to the continent, such as American basswood (Tilia Americana) while European gardeners may prefer a European species like little-leaf linden (Tilia cordata). There are also species of linden that perform better in hotter locations, and some that will do better in cooler regions. Make sure that the linden tree you are buying is hardy for your location. Look for bareroot plants. Linden, along with most other deciduous trees, transplant best when they are sold bareroot, when the plant is dormant. When the linden tree breaks dormancy, it will adjust better to its new location. Bareroot trees will look like little more than a stick, but the body of the sapling should be firm and pliable, not brittle, and the roots should be wrapped up to keep them moist. Plant your linden tree in the early spring, as soon as the ground is workable. So long as the linden tree is still dormant (not actively growing or producing leaves) it should not be harmed by a few light frosts or even late spring snows. Dig a hole that is as deep as the root ball and twice as wide, with a small mound in the middle to spread the roots over. Backfill with soil immediately so that the roots are exposed to air as little as possible. You can also plant linden trees in the late fall, after the tree has lost its leaves and has entered dormancy. Water the newly planted linden tree thoroughly, and continue to keep the soil evenly moist throughout the growing season. Many different species of linden trees exist worldwide, but they all have roughly the same requirements as to light, water and soil. There will be slight variations in height, leaf shape or flower size, and choosing which species to buy is largely an aesthetic decision, so long as the species you are considering are hardy in your climate.